Sunday was a great day for Creek Road Runners, despite the unseasonably cool temperatures and added wind. 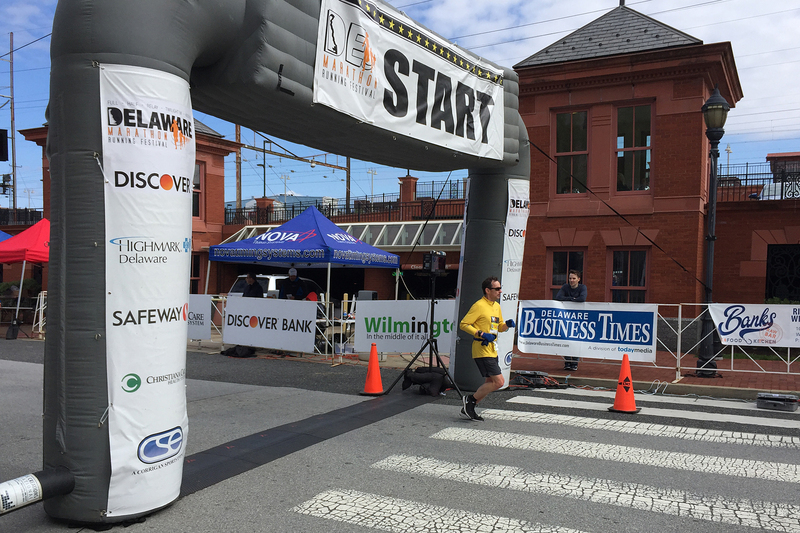 Several participated in one of the events during the weekend, which included the Delaware Marathon, Half-Marathon, 4-Person Relay, and 5K. 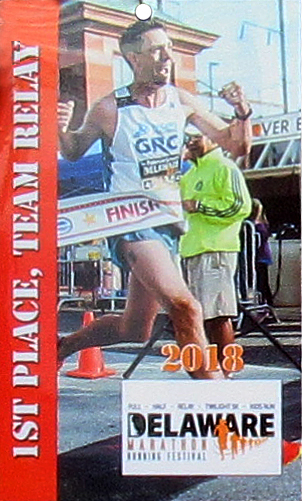 One Creek Road Runner—38-year-old CRR Andrew Weber—stood above all the rest (out of 699 finishers) in the Delaware Half-Marathon, winning in 1:22:34 and finishing a good five-and-a-half minutes ahead of the next runner. 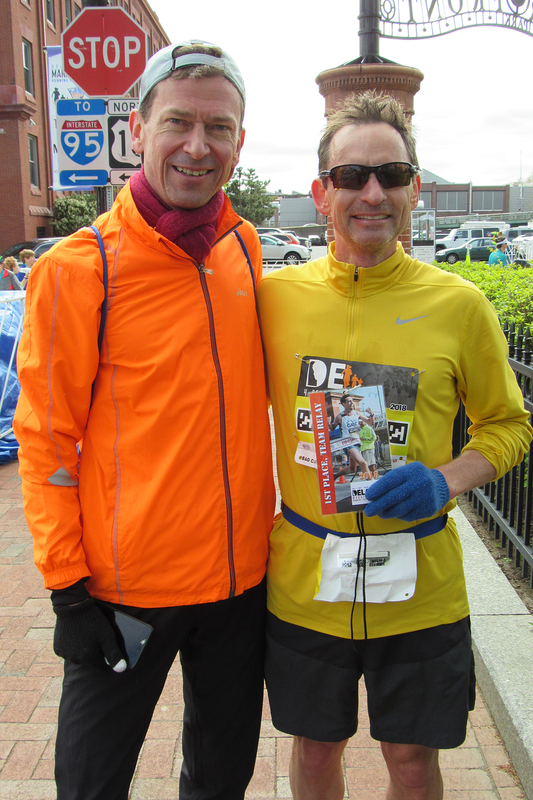 CRR Dan Weile punched his ticket for the podium by being the third man to finish (fifth overall) in 1:29:52. Both Weber (35-39) and Weile (45-49) would have won their respective age groups but had to settle for the bigger honor of having finished in the top three. 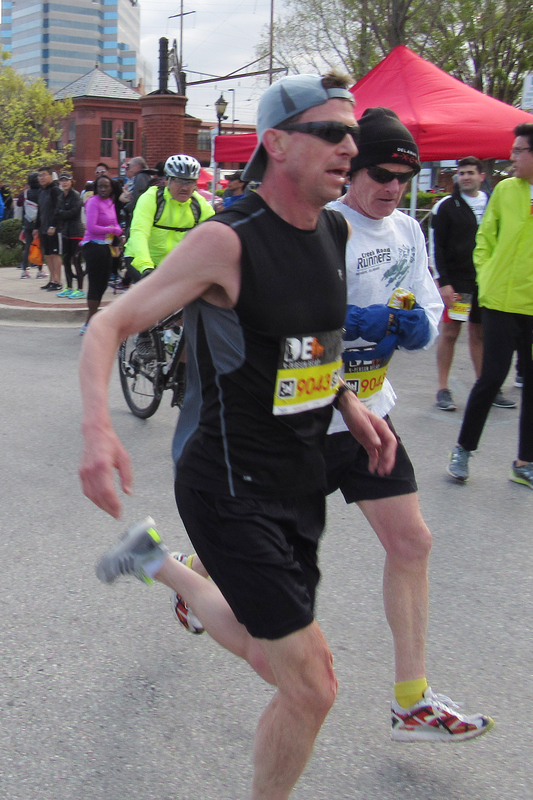 Another notable was CRR Kevin McCooey, who finished 4th among the 60-64s in 2:04:09. 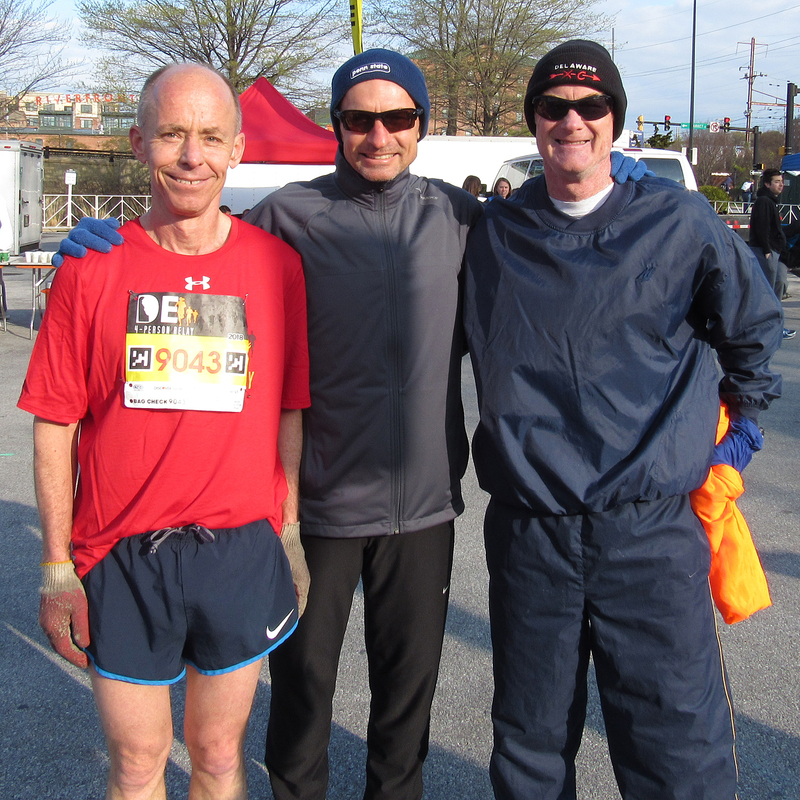 In the 5K on Saturday, CRR Jeremy Firestone won the 60-64 age group in 23:25. 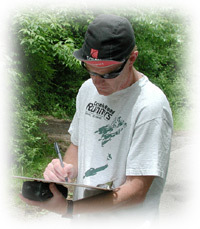 The Creek Road Runners 4-person relay team bested 49 other teams in winning the relay. With an average age of 56.5, the rather senior team of CRR Bill Rose (leadoff) CRR Bruce Weber (leg 2), CRR Mark Deshon (leg 3), and CRR Bill Farquhar (anchor) logged a combined time of 2:59:16, slower than their collective potential but well ahead of the second-place team. This is the best overall place finish of any Creek Road Runners team in the history of this race. Last year, the team placed third; the team was fifth in 2016. 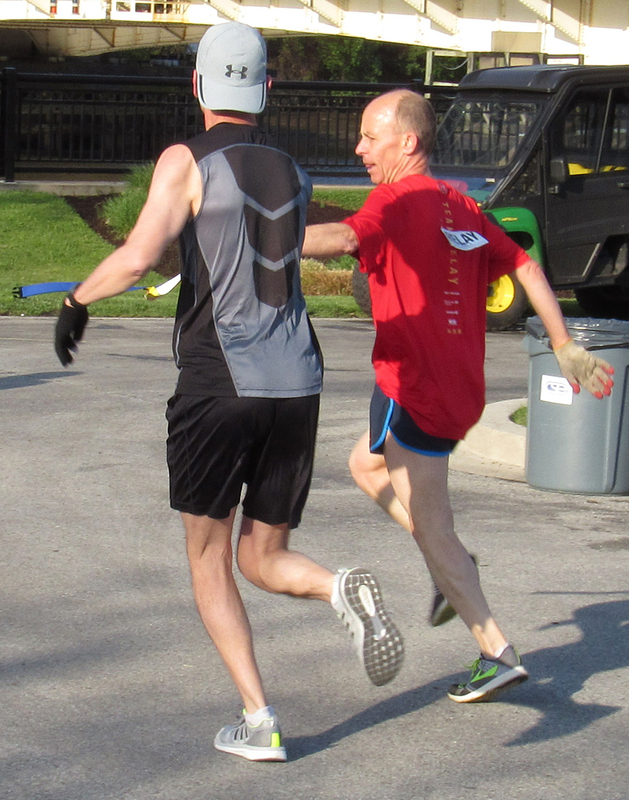 At age 59, Rose (45:03) gave the team the early lead it would not relinquish (exchanging with Weber in above photo), and the cushion that 50-year-old anchor Bill Farquhar (45:27) needed to treat this as an up-tempo training run for next week’s Broad Street Ten Miler. In between, the fastest time of the four—42:17—was turned in by the 57-year-old Weber on leg 2, and Deshon (three weeks shy of turning 62) stepped up his game to post a 46:29—18 seconds better than his relay leg in 2016 (Weber exchanging with Deshon in photo at right). With the team squarely in the lead, each of the runners enjoyed the luxury of a lead vehicle, either a motorcycle or bicycle, to follow through the 6.55-mile relay course, something to which none of them is accustomed (Farquhar finishing in the photo at left; in photos below: Rose, Farquhar, and Deshon—holding Weber’s jacket during leg 2; Weber congratulating Farquhar after the finish).